Microsoft has released the ‘Colors of India’ Windows Theme for Windows 7 and Windows 8 users. This theme has 14 colorful images taken from various parts of the Incredible India. All images are the High-resolution, you will have clear desktop theme in big screen computer to small screen systems. Vast sand dunes, rugged rivers, snow drifts in the mountains, and brightly colored trinkets in the marketplace: This free theme delivers a full range of Indian scenes to your Windows desktop. Colors of India Windows theme have 14 High definition wallpapers. The image locations are Red Hot Chili Pepper- Kerala, Pinwheels at Festivals- Hyderabad, Sparring Chitals, – Bandipur National Park and etc. I have installed this theme in my Windows 8 system, the image colors are really Vivid and crystal clear. The Transparent Windows taskbar looks very fresh when the wallpaper automatically changes to another one. Before this theme, Microsoft has released the Five Windows 8 Spring Themes for this spring season that includes bees, Dolphins, flowers, Natural scenes. All themes are really superb and click the above link to download those themes. If you have Windows 7 system and wants to install that Windows 8 Themes, then read our previous guide to install Windows 8 Themes in windows 7. 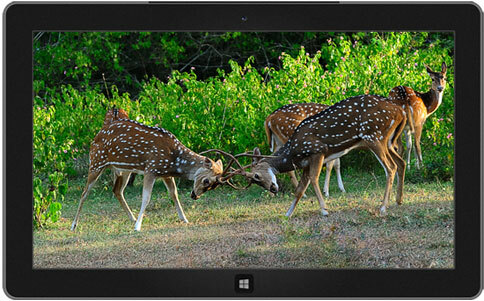 Microsoft Released 5 New Windows 8 Themes for "Awesome Spring Season"